Enjoy Kriegar's classic styling and quality in this striking black Kriegar stiletto. It's the perfect gentleman's knife! 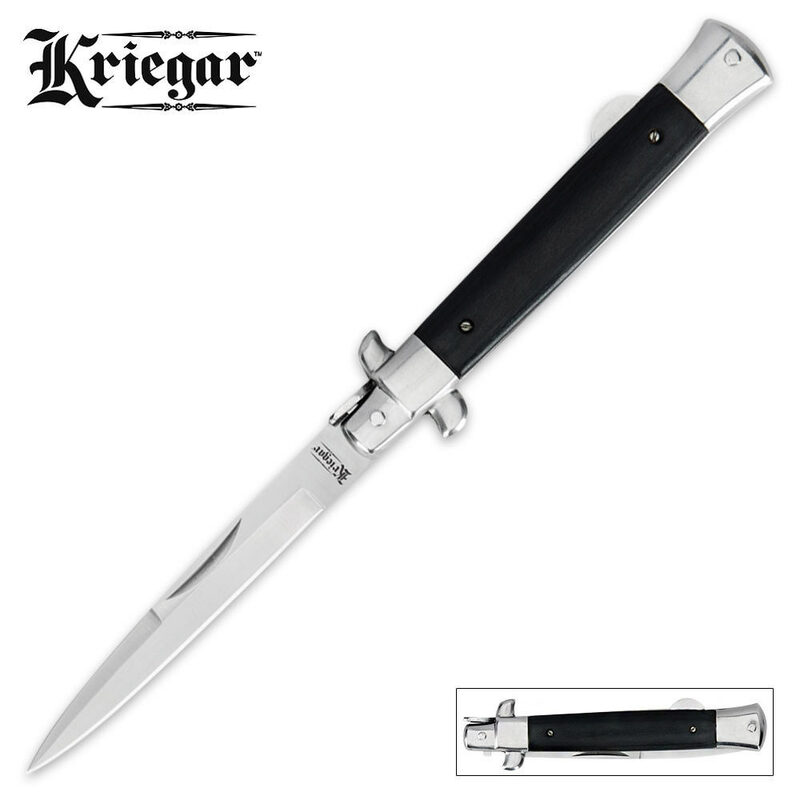 Each stiletto features a razor sharp stainless steel blade and a handsome black wooden handle.